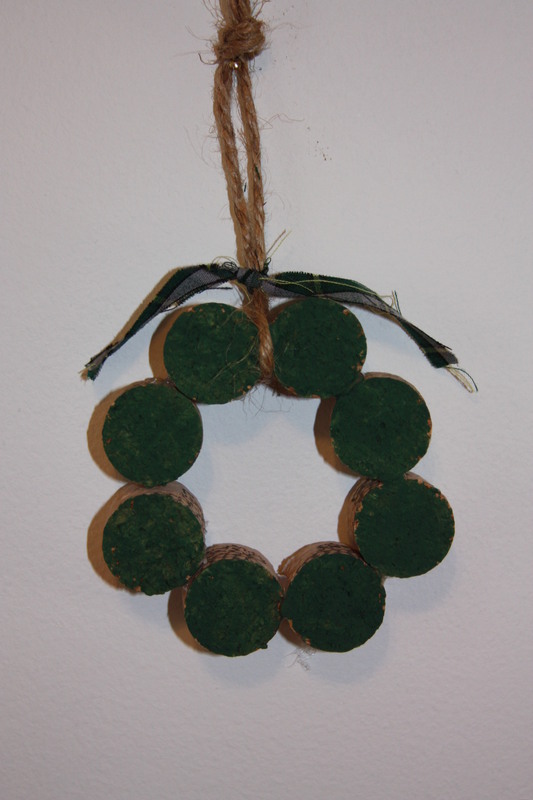 WELCOME TO DAY 11 OF MY 12 DAYS OF CHRISTMAS DECORATING, CRAFT AND GIFT IDEA CHALLENGE. 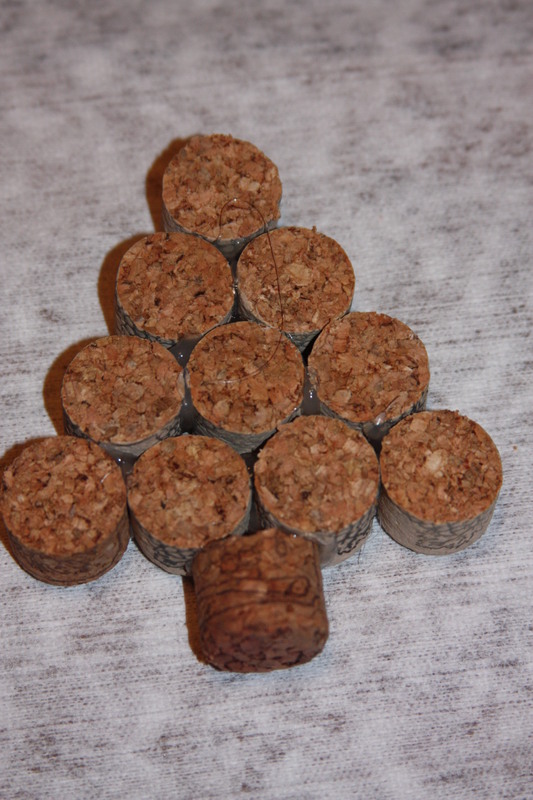 During my many visits on Pinterest I saw a variety of ornaments made from used corks. I decided to try my hand at them. 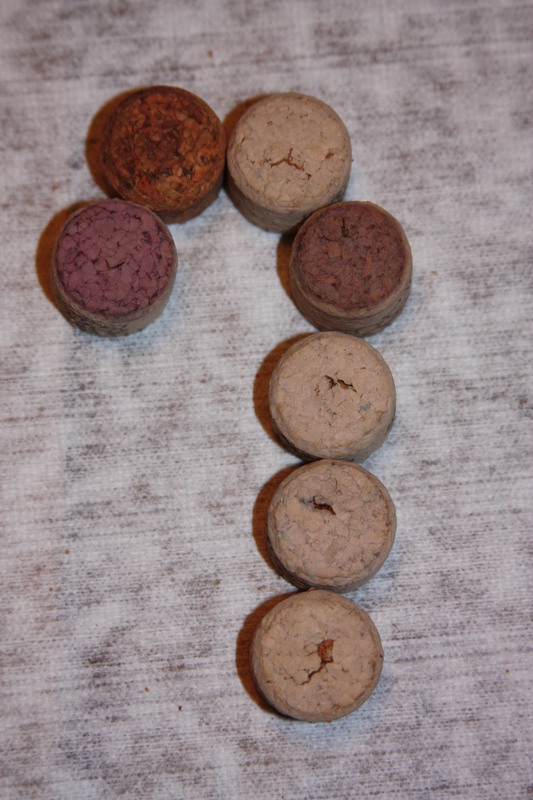 I had to purchase my corks online and found some used corks at Jelinek Cork Group. 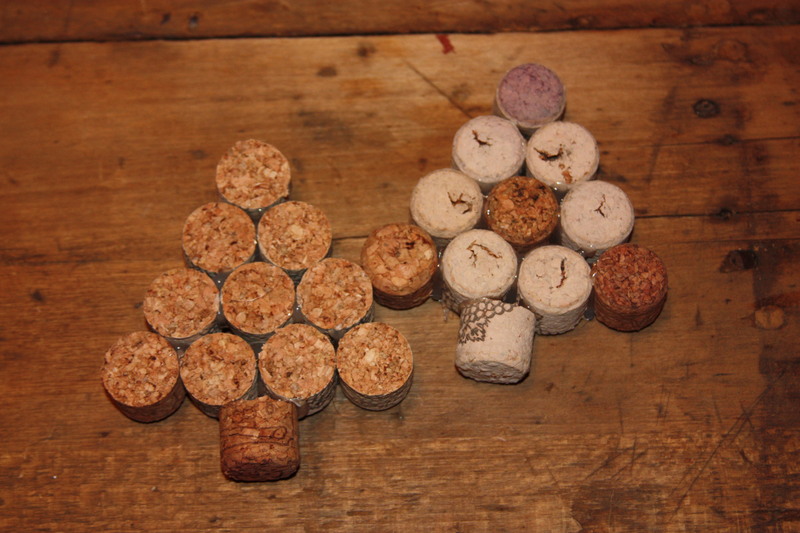 I also searched the internet for the easiest way to cut the corks and after many different opinions decided to use the steam method. Bascially, you bring a pot of water to a boil and put the corks in a mesh strainer (don’t let the corks touch the water) and boil for ten minutes. 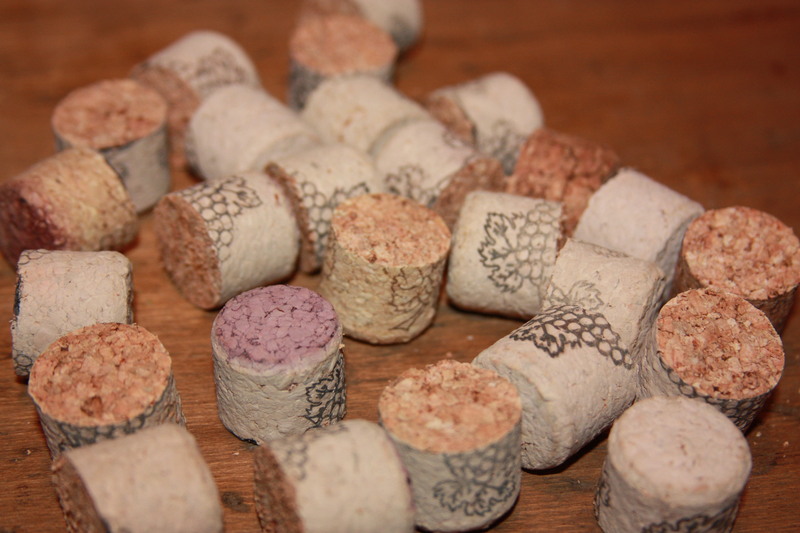 The corks will soften very nicely and will be very easy to cut. To cut them I used my serrated knife. I used a glue gun when I was making the ornaments into different designs, I made trees, wreaths and candy canes. 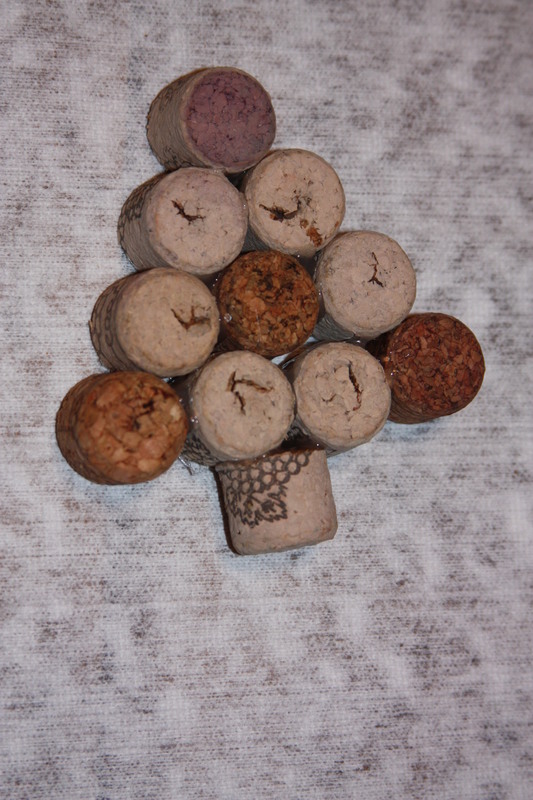 After the glue dried, I painted the cut side of the corks on the tree and wreath ornaments and added a small piece of Cape Breton tartan and a jute hanger. Unfortunately I did not get a picture of the Candy Cane ornaments…I made them, wrapped them and shipped them off pretty early in the season before I realized I did not have a picture….oops!! I like them and I think they turned out to be A Wandaful Thing!! 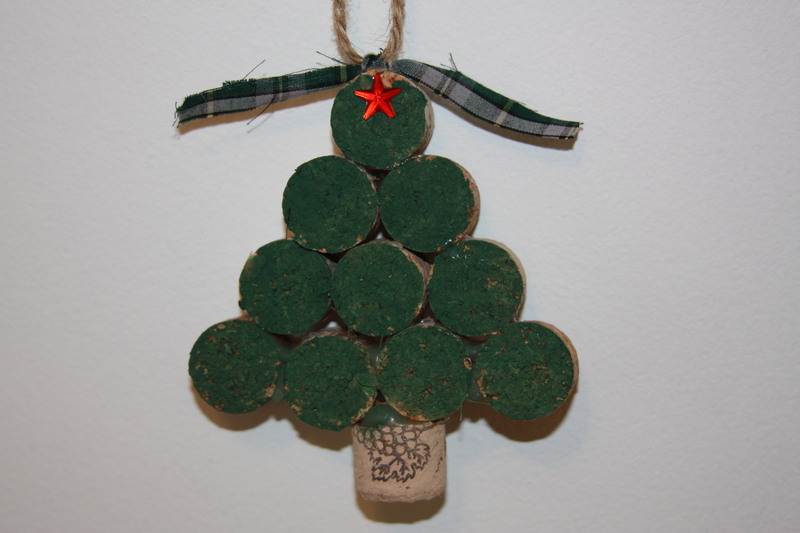 This entry was posted in Decorate, DIY and tagged Cape Breton, Challenges, Christmas, Crafts, Decorate, DIY, easy, green, hanger, jute, ornament, paint, repurpose, reuse, tartan. Bookmark the permalink.